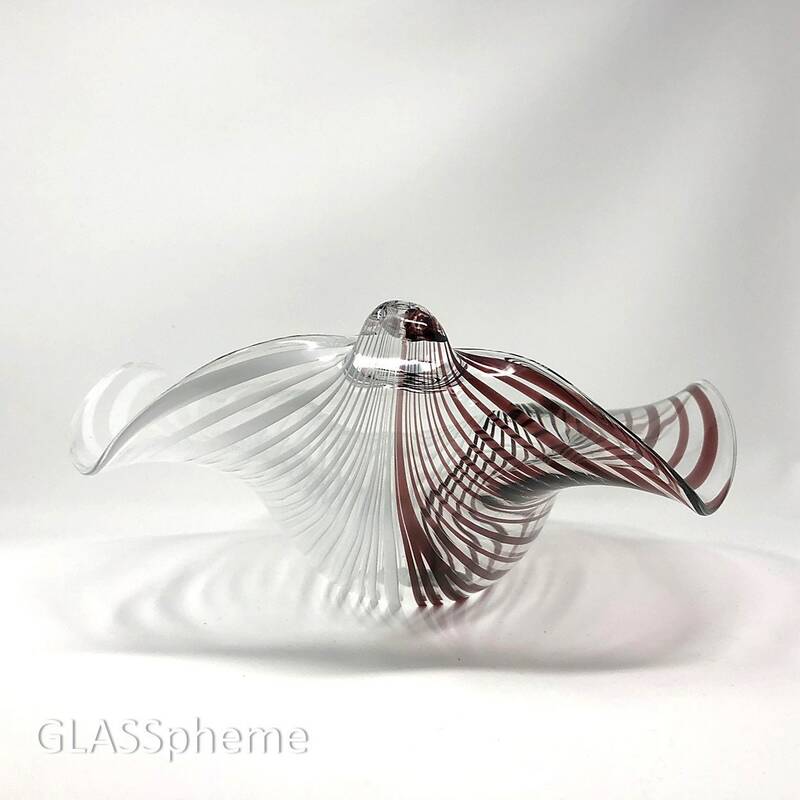 Licio Zanetti is legendary for his Murano glass animal sculptures--leaping fish, soaring birds, etc., so the fact that his enormous biomorphic sculptural glass bowl is so phenomenally fluid and graceful should come as no surprise. 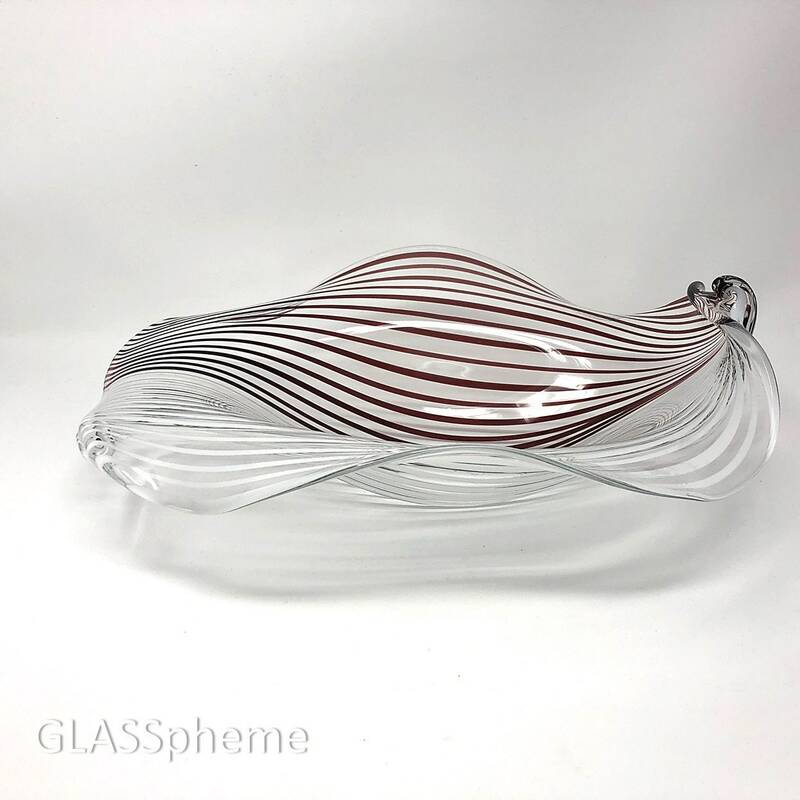 While I've never seen this design before acquiring it, the burgundy and white canes/stripes that add a whole new visual element to this piece (MESMERIZING!) have appeared in Zanetti's other works. Signed by Zanetti, this piece was probably done in the 1970s with other striped designs I researched. Zanetti retired in 1989, so that's clearly the upper limit on the production time frame. 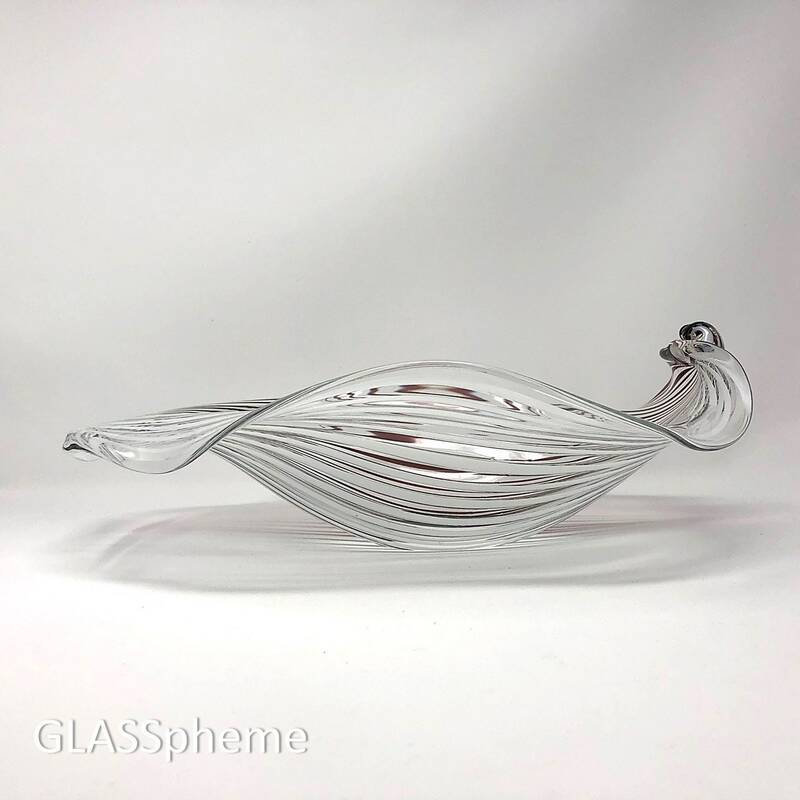 This special piece belongs OUT in the open (not stored in a cabinet on display) where you can use it every day—on the kitchen countertop to hold fruit; on a vanity for your brushes, make-up, etc. ; on top of your dresser or night table to hold the personal items you need on hand the next day. 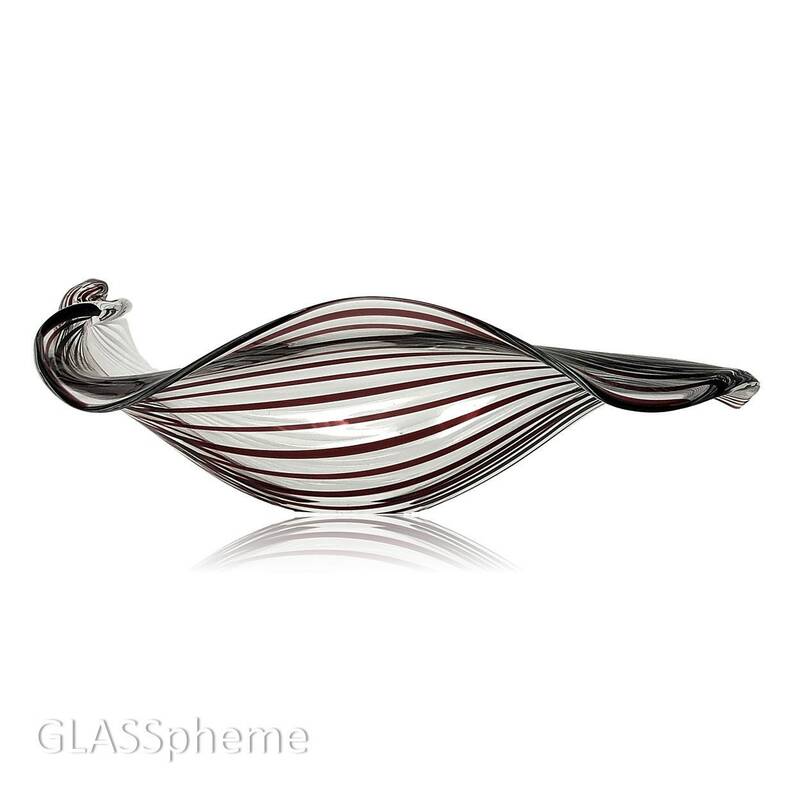 Spectacular vintage Murano glass pieces like this console make the PERFECT gift! They’re pretty much one of a kind, so no one else will ever saunter into the party with the same item. 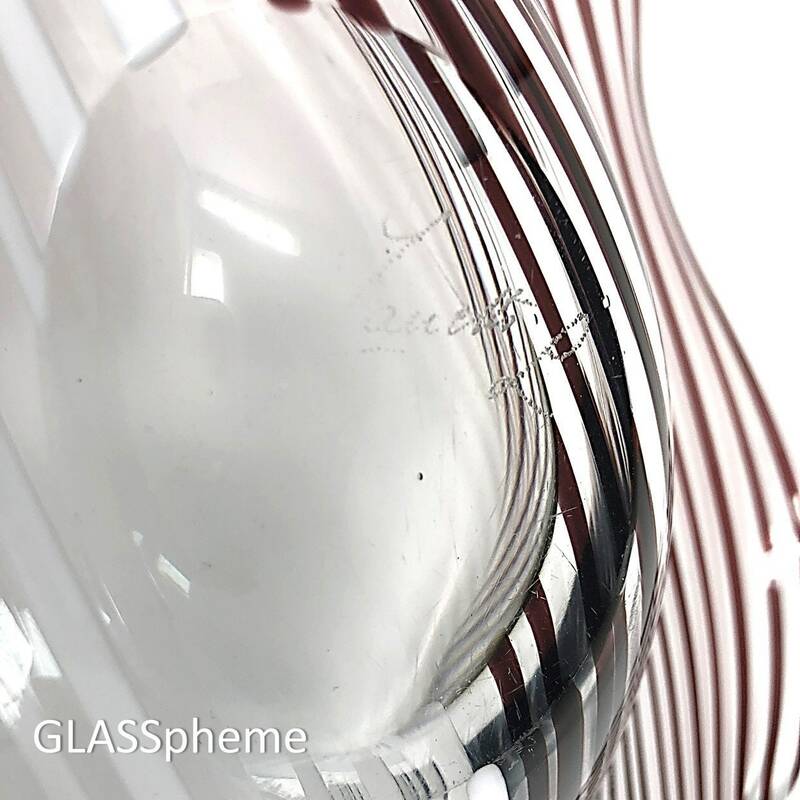 And while expensive new crystal (you know, those typical boring wedding gifts) depreciate the minute they’re removed from the box, high quality famous maker (like Fratelli Toso) mid-century Murano glass becomes scarcer by the moment—they’re a gift and an investment at the same time. 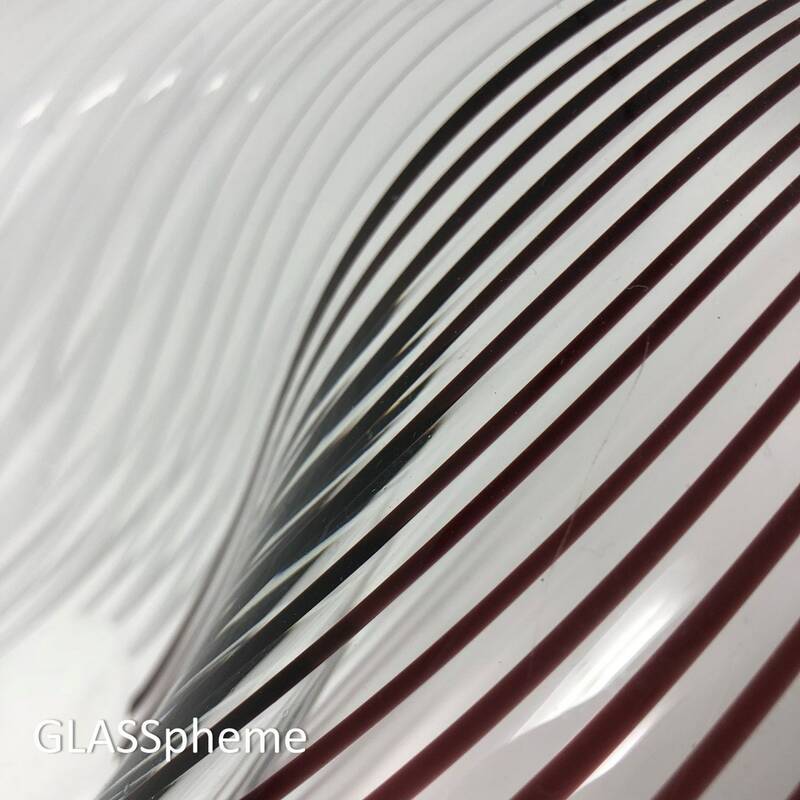 With GLASSpheme’s ridiculously large selection, you’ll find the perfect piece for your décor—or your special person. 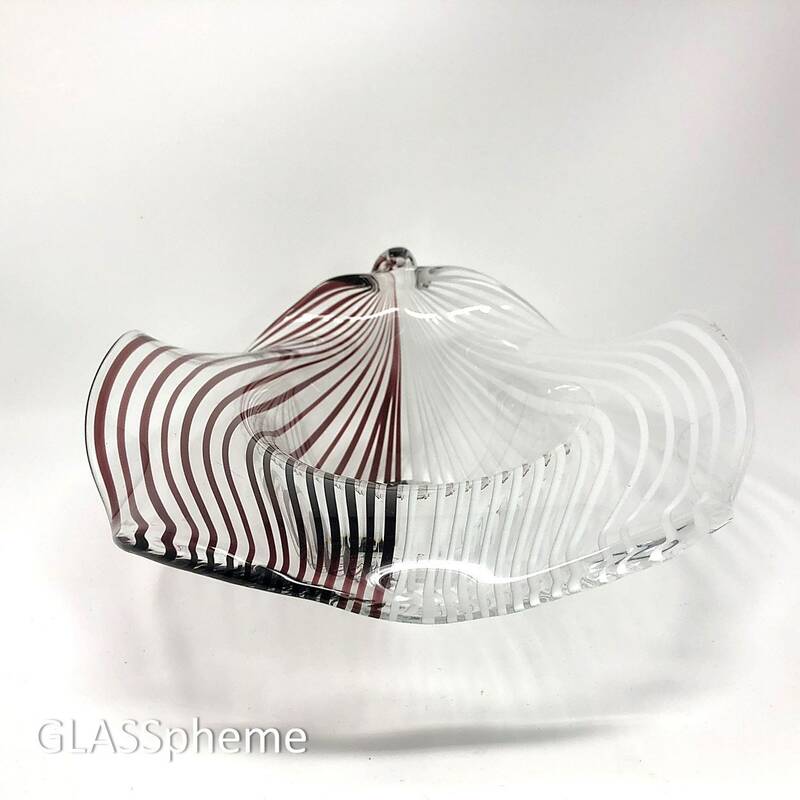 Condition: Perfect, with the exception of light base wear on this heavy magnificent piece.